My other passion is the ocean. Especially surfing. I have been around the ocean for as long as I can remember. In fact, if I had to choose between music and surfing, I would choose surfing. I'm the current Indigenous longboard champion and when I did the world tour I was ranked 48th in the world. I have surfed all around the globe, places like the South Pacific, America, Europe and I have surfed pipeline in Hawaii. The ocean is a gift that I share daily and its taught me to be strong, confident, humble, respectful and brave. I'm not religious but I believe in the great spirit of our people and this land. Our culture connects us to everything here on this sacred planet and beyond. From the earth to the sky, oceans to the sun, in the stars and the darkness. Katie Beckett is on the rise, as an actor and writer. Appearing in TV such as Redfern Now, Black Comedy, film and many theatre productions. She was the 2015 winner of Belvoir's Balnaves Award. She wrote festival hit Which Way Home, with rave reviews and an extended season at Sydney Festival. Described by critics as hilarious, captivating, and powerful to watch, her works as outrageous, fresh, and gorgeous with a unique style of storytelling. She has been mentored by some of the greats in the industry. Film credits include Little J and Big Cuz, The Marshes, Talkers, Drover’s Boy, Blackground; stage credits include Which Way Home, Lighten Up, Kill the Messenger, Coranderrk, Onwards and Upwards, This Fella, My Memory (Moogahlin Performing Arts); Impossible Plays, Pull My Strings and I Will Play for You, Wrong Skin (Next Wave Festival); Winyaboga and To Soothe a Dying Pillow (Andrea James). She won the Ian Bowie Memorial Award and was shortlisted for the Yvonne Cohen Award for her solo work-in-progress, Coloured Diggers, performed at the Dreaming Festival 2009, Museum of Contemporary Art, and the Coloured Diggers ANZAC Day march in Redfern in 2008, 2009 and 2010. I am a mother, a daughter, a sister and an aunty to many. I am an Aboriginal dancer, choreographer, teacher and mentor - a proud Wiradjuri woman. I make dance with and for my community and as a legacy for the continuation of NSW Aboriginal dance and story telling. I see everyday the positive, real and lasting changes that dance and cultural connection can make to children and young people's lives and I am inspired by the yearning to participate and respect that people have for sharing in our dance. My company Wagana has a strong presence in NSW. We perform and share workshops at community, corporate, national and international events and festivals. We are blessed to live, dance and create on Darug and Gundungurra country in the magnificent Blue Mountains. Koedal (Crocodile) and Waumer (Frigate Bird) woman Ghenoa Gela is a Sydney-based independent artist and proud Torres Strait Islander woman from Rockhampton, Central Queensland. She has worked across dance, circus, television and stage. Ghenoa’s arts practice is inspired by her family stories and her passion to share her Torres Strait Islander culture. She aspires to inspire. Choreography credits include Fragments of Malungoka – Women of the Sea, winner of the Keir Choreographic Award 2016, Winds of Woerr (Melbourne Next Wave Festival 2014, Spirit Festival 2015), and choreographing the final piece in Force Majeure’s Nothing to Lose (Sydney Festival 2015, Malthouse Theatre 2015). Ghenoa also collaborated with Force Majeure on performance installation Mura Buai – Everyone, Everyone (Performance Space’s Liveworks Festival 2015). In 2016/2017 Ghenoa will continue working on the creative development of her first major solo work My Urrwai – My Style, produced by Performing Lines. Spirit of Things began four years ago with a visit to the Australian Museum and their Indigenous collections. The three days we spent amongst those shelves changed the direction of our creative and cultural lives. Our aim was to release embedded stories and songs in our cultural material, an attempt to reach into the past and listen to our elders, our ancestors, our knowledge keepers and our master makers. During that time we heard, saw and felt the people encased in those objects, and they graced us with their teachings and their words. We used that experience to write the music you hear tonight. But this project was to reach far deeper than we had ever planned. These songs lead to more stories, and those stories took us to a part of ourselves that we had been neglecting. Amrita Hepi is a Bundjulung and Ngapuhi dancer and choreographer working in the field of experimental dance. Her choreography is rooted in creating movement in transitional spaces, interweaving her rich cultural heritage and contemporary dance training. The barriers of intersectionality, cultural memory and pop culture are embedded in her work and practice. Amrita has trained at the National Aboriginal Islander Skills Development Association (NAISDA) dance college, and Alvin Ailey American Dance School, New York. She has exhibited and performed at Sydney Opera House, Sydney, Next Wave Festival, Melbourne, the Museum of Contemporary Art, Australia, the Australian Centre for Contemporary art, Melbourne, Carriageworks, Sydney, TEDX, Sydney and Banff Centre, Alberta, Canada. She is currently working on A Call to Dance - a participatory dance work that looks at ideas of cultural ownership, social practice and the commodification of dance. I am a trained theatremaker and Creative Producer specialising in Aboriginal performance and contemporary arts as both a practitioner and producer. I am visionary, community-minded and ground-breaking. I work with artists and organisations to assist them to realise their full creative and cultural potential. I set challenging artistic briefs that extend the bounds of creative and cultural practice. I am able to identify cultural ambitions and hotbed issues and harness creative talent to enable communities to celebrate and share an enhanced culture through world-class artistic presentations across artforms utilising a high degree of professionalism to compete within national and international art circles. Thomas is a proud Bundjalung, Wiradjuri and Ni-Vanuatu man from Qld and NSW. He graduated in 2012 from the nationally recognised NAISDA Dance College. Thomas is a multi-disciplinary artist who has worked with Vicki Van Hout, Shaun Parker and Company, Branch Nebula, ERTH, Outer Urban Projects, NORPA, Sandra Laronde (CAN), Jock Soto(USA) and Lina Cruz(CAN). Thomas choreographed [MIS]CONCEIVE which premiered at the 2016 Next Wave Festival for which he received a Green Room Award. Currently Thomas is choreographing Vessel for Outer Urban Projects, ECHO for PACT and WOLLUMBIN WARNING, his new project exploring Mt Wollumbin Warning situated in northern NSW. Kamahi is a Gurindji man from Katherine in the NT. Kamahi is an accomplished visual artist and performing artist. Studying at ACPA in Brisbane Kamahi holds an Advanced Diploma in performing Arts. In 2009 Kamahi took out an Uncle Jack Charles Award at the Victorian Indigenous Performing Arts Awards and further to that scored a Victorian Indigenous Arts Award for the best work on paper in 2011. A visual and performing artist ,Kamahi created Constantina Bush in 2008 at community event Outblack in Melbourne. Since then Kamahi has created Constantina Bush shows to tour the festival circuit. The Bushettes joined in 2009 and have been with him ever since. Having toured around the world with shows written by someone else, Kamahi feels it is time to get his own work out there and feels this is the perfect platform. Pauline is Artistic Director of Biddigal Performing Arts. Biddigal was created to encourage and give opportunity to the Indigenous Australian youth in Cairns and surrounding regions to create, choreograph and perform their Indigenous heritage through performance. Original choreography is entirely based on true stories which capture Australian Indigenous history. Biddigal performers feel honoured by presenting Indigenous elders' story via theatrical performances. All performers aged between 12-25 years learn with a fierce passion to choreograph and perform at a high standard, fit for theatrical performances. Under the Artistic Direction of Pauline Lampton, who has 20 years of experience with contemporary Indigenous dance, Biddigal is fast becoming a performance group that is simply breathtaking. Since forming officially in March 2013, Biddigal has been invited to perform around Far North Queensland and interstate as a highlight for each event. Nathan is a descendant of the chief of the Troowolway Clan and of the North East Tasmanian Indigenous peoples. He has two decades experience as a dancer in schools and communities, and has worked with such nationally recognized companies as Terrapin Puppet Theatre and the Tasmanian Symphony Orchestra. 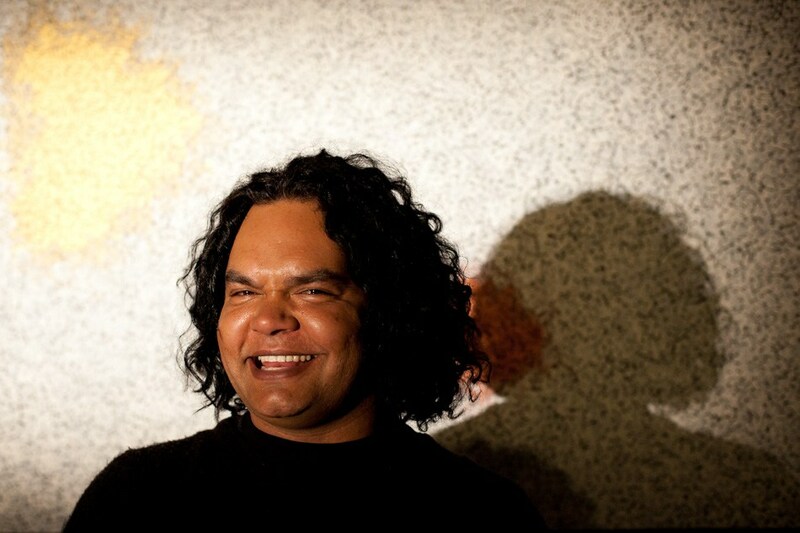 He was the recipient of the Tasmanian Aboriginal Artist of the Year Award in 2006 and 2013. Nathan comes from a long-line of mutton-birders, and this year's Sydney and Ten Day on the Island Festival hit The Season is largely based on his personal experiences. 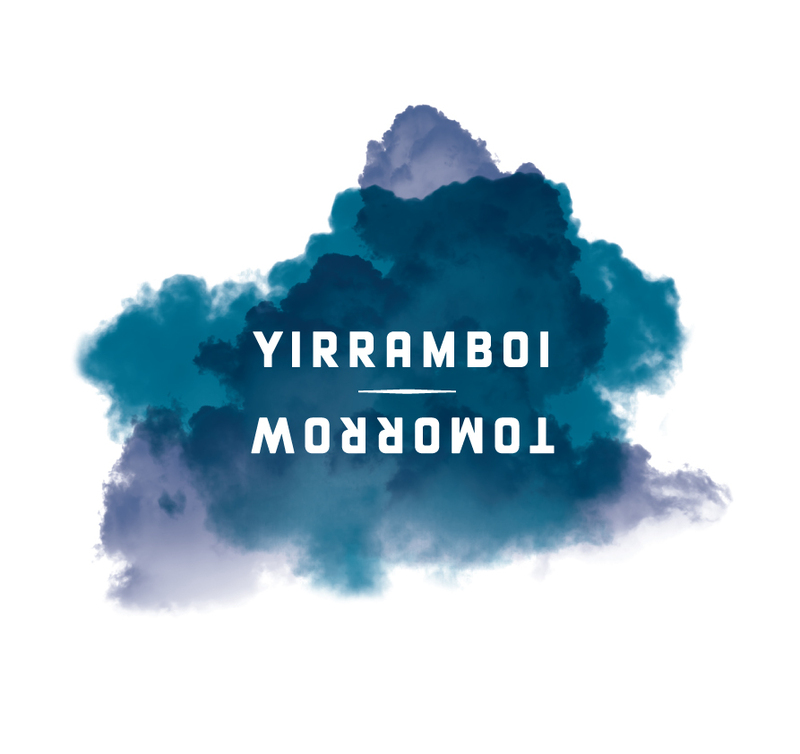 The play was developed by Tasmania Performs and showcased in the 2015 Yellamundie Festival. As an independent artist, I aspire to reinstate the practices, methodologies and ideologies of my Bundjalung and Yaegl cultures. To bring to the forefront the knowledge contained within them and the cultural protocols that instil their presence. This is combined with the many moments working on country with other Aboriginal peoples and cultures, as life experience is never removed from the process when creating. Divercity shares this practice as a means to inform the present, to instil the past and toredirect the future. This methodology continues to build my practice as it moulds the process when I teach, create and make movement with others. I am a multi disciplinary creative, with a background in visual arts, performing arts and creative writing. I have been a composer and a producer, however I utilise whichever medium or collaborate with others to make the art I want to create. I am currently working on a multi-faceted project that I have been developing for the last four years. Lost Tales Live is a part of a larger body of work going by the name: Mythological Evolutions. Naretha is a Wiradjuri woman, born and based in Melbourne with deep family and cultural ties throughout Victoria. Naretha is an interdisciplinary artist and studio engineer with extensive experience in producing events and various artistic programs. 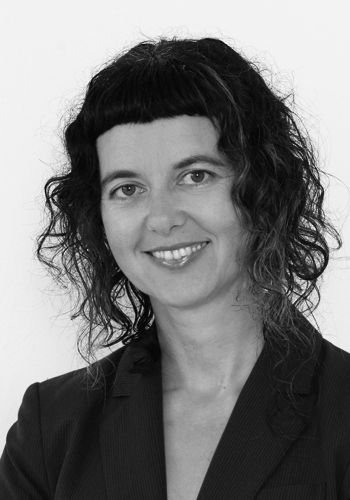 A passionate collaborator, she is enthusiastic about working further with First Nations artists to continue to push the boundaries of presentation formats in Australia.